According to an article in the Palm Beach Post, a Florida man recently struck and killed an elderly man who was doing yard work. The intoxicated driver was driving a pickup truck off of Glenwood Avenue with a blood alcohol level that was two times the legal limit. In contrast to this tragic event, the number of drunk driving deaths in Florida actually declined more than seven percent in 2017. This means that there were 66 fewer deaths on state roads in comparison to 2016 which is an excellent achievement that falls below the national average. However, over 800 people still died in Florida in incidents where alcohol was involved and unfortunately, intoxicated drivers continue as the leading cause of traffic fatalities in both Florida and the United States. While Driving, What Are Signs to Look for that Suggest Another Driver Is Intoxicated? If you suspect that another driver is intoxicated, make sure that you put as much space as possible between that person and your vehicle. If you can do so safely, try to note the color, make, model, and license plate of the vehicle. When you can, stop driving and call 9-1-1 to report the vehicle to authorities. What Do You Do After a Crash When the Other Driver Is Visibly Intoxicated? As frustrating as car accidents can be at the best of times, it can be difficult to know how to proceed after a two-car accident when the other driver is visibly intoxicated. Remembering that your safety has to remain your priority is essential after an accident where you are dealing with someone who has an altered state of mind. Assess the situation. Unlike what may be your first instinct, observe the situation prior to offering to help the other driver. Someone whose mental state is altered may be aggressive and act erratically. Your safety is first in this situation. Take pictures, record video, and take note of witnesses. Almost everyone has a smartphone these days and this is the perfect opportunity to utilize it. Recording as much as possible now will substantiate your account of what happened if you need it later. Additionally, get contact information from anyone who observed the accident. Alert authorities. 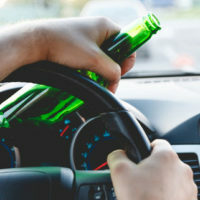 As soon as possible, alert law enforcement, whether at the scene or on the phone, that the other driver is intoxicated. In addition, make sure that you obtain a police report from the officers at the scene of the accident. If you or someone you know has been injured in an accident where the other driver was intoxicated, the Orlando auto accident attorneys at The Pendas Law Firm can help. We have been assisting clients in Florida recover for many years and have extensive experience helping people like you. Begin by contacting us today to schedule a free consultation. The Pendas Law Firm also represents clients in the Orlando, Fort Lauderdale, Miami, Fort Myers, Tampa, Jacksonville, Bradenton and Daytona areas.